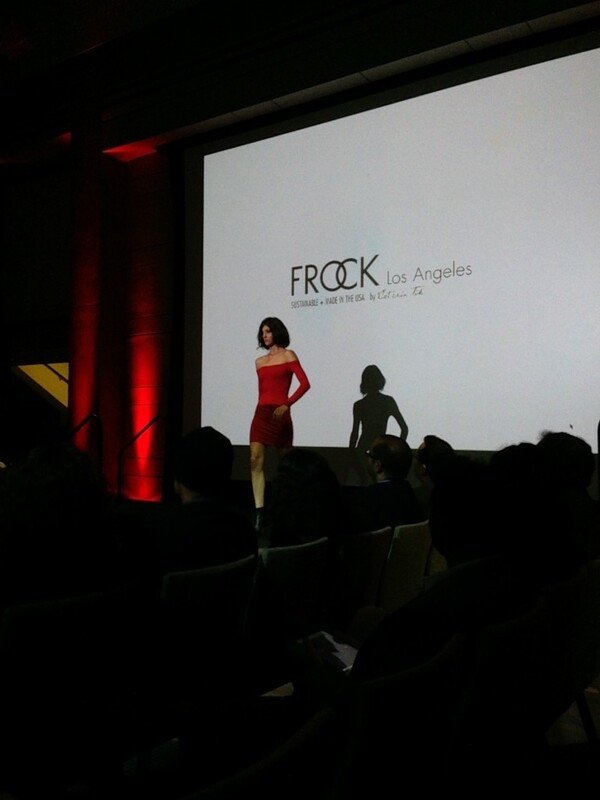 Tastemaker Moms hit sustainable fashion show in L.A. This past week, Tastemaker Moms in L.A. got to be VIPs in the world of sustainable fashion. Select local moms joined us at the First Annual Fashion Night from Green Steps Media (the company that publishes Natural Child World magazine). We chatted with progressive designers over cocktails on the terrace. Then we headed inside the beautiful Ahmanson Ballroom at the Skirball Center to watch the latest in sustainable clothing parade down the catwalk. Sounds fabulous, right? But what really made the event so interesting was that virtually everyone there is passionate to making the way we use products for ourselves, our kids and our pets more sustainable. How? Well, obviously a big focus is through the products themselves. All the ones featured in the show are somehow combining eco-friendly innovation with style. Like Charlie Banana, for example, who specializes in cute kids’ clothing and cloth diapering solutions. Incidentally, Charlie Banana also brought some reps from Project Child Save, a non-profit they strongly support — and this seems to be a big trend as well. Many of the product lines have non-profits they work with directly to give back — like DoTERRA, which creates high-grade essential oils and helps less fortunate populations through its Healing Hands Foundation. But the sustainable world’s movers and shakers are not all designers. The event was filled with bloggers, writers, stylists and filmmakers. One documentary filmmaker we chatted with was Andrew Morgan, whose current project is called The True Cost. Check out the trailer. It’s quite compelling, spelling out how the cost of clothing has been going down over decades for the consumer — while the true, global cost has been going up. The film is an attempt to raise awareness by telling the whole story of how the garment industry works — but in a way that offers real solutions, and doesn’t just point the finger at major brands that are in all our closets. Like us: real moms who are interested in using our collective voices to make a difference to brands. Thanks to the Tastemaker Moms who were able to join and help us represent!